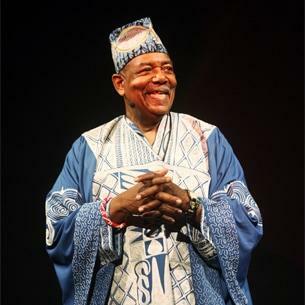 'Baba' Chuck Davis founded the African American Dance Ensemble in the 1980s. Credit African American Dance Ensemble, Inc.
Chuck Davis, the founder of the African American Dance Ensemble died Sunday in Durham. Davis is most known as a choreographer of African Dance and was called "Baba Chuck." He founded the Chuck Davis Dance Company in New York, in the 1960s. The North Carolina native later moved back to the Triangle and then founded the African American Dance Ensemble in 1983. Leoneda Inge reports on Chuck Davis, founder of the African American Dance Ensemble. Davis would often be seen around Durham in elaborately designed West African attire, wearing a big smile and preaching his motto of "peace, love and respect for everybody." Davis was born and raised in Raleigh and was an only child, but in a 2015 interview, said he never felt alone. "In my neighborhood when I was growing up, the whole idea it takes a community to raise a child, because there were six houses but there were 21 kids. And we all were extremely close, because during those days, there were no locked doors," said Davis. Davis was born on New Year's Day in 1937 and for many years he celebrated his birthday and Kwanzaa in downtown Durham, inviting the whole community to attend. That’s where he showcased his dancers and drummers in the African tradition. "Kwanzaa is a cultural holiday and a cultural celebration," Davis said in a 2010 interview. "The principles of it are principles that every ethnic group in the universe can relate to. It has nothing to do with politics. It has nothing to do with religion." Davis liked to say he was an "edu-tainer," using his gift of dance to educate people of all races and nationalities. He was a fixture at the American Dance Festival, ADF, and has had a relationship with the festival dating back to 1972, when it was at Connecticut College. Davis would head the organization's outreach program in North Carolina. Today ADF is headquartered in Durham. Davis has taught African dance, choreographed productions and performed around the world. Some of his awards include the AARP Certificate of Excellence, the North Carolina Order of the Long Leaf Pine, and honorary doctorates from Medgar Evers College and Williams College. Davis was 80 years old. 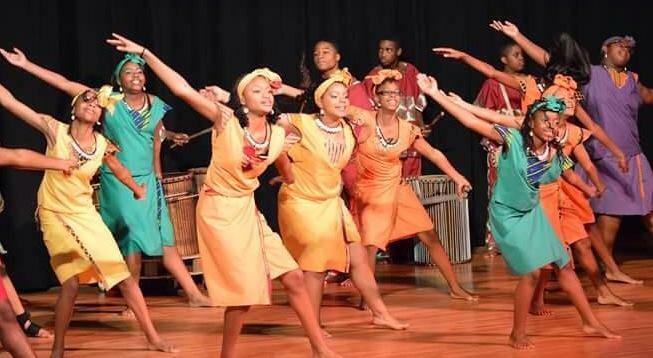 The Collage Dance Company has wowed audiences for decades with its authentic African costumes, precise foot-work and exquisite drumming. And some of the performers are as young as ten years old! Tonight, the Durham-based company is celebrating its thirtieth anniversary with a performance at the Carolina Theatre featuring more than one generation on stage. 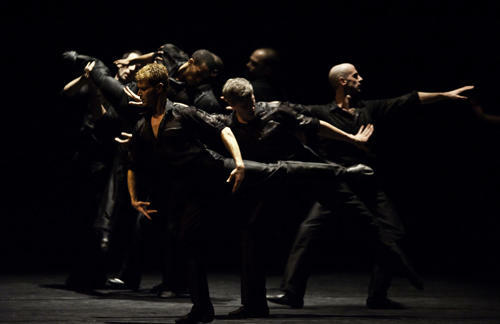 Lar Lubovitch is known in the performing art world as a breakthrough choreographer in modern, ballet and jazz dancing. One of his most heralded works is called "Concerto 622," which depicted two men in a loving relationship for the first time on the modern dance stage. It gave a face to the AIDS crisis in the mid-80s. Award-winning choreographer Bill T. Jones' newest creation, Analogy/Dora: Tramontane, is based on interviews he conducted with his 95-year-old mother-in-law, Dora Amelan, a Jewish nurse who survived the Holocaust.